P.O.D. played Dave's first carved guitar! 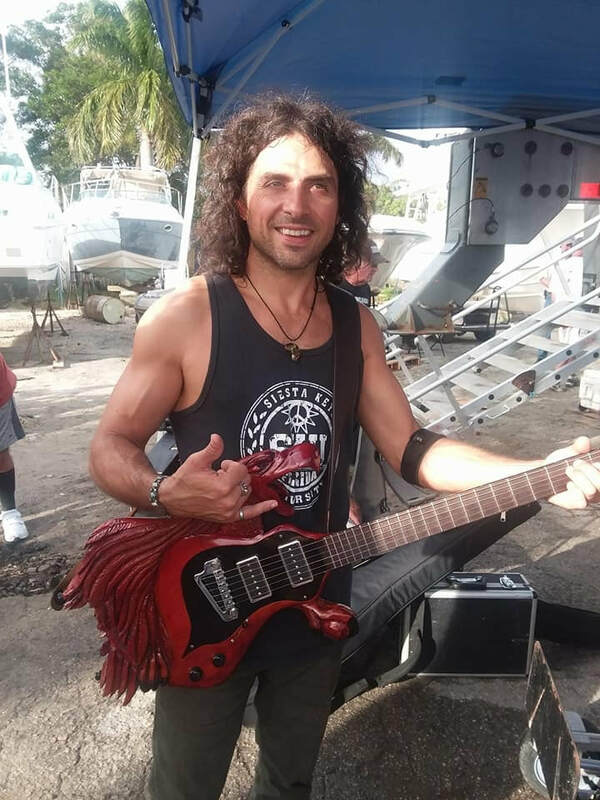 The first carved guitar was played by P.O.D. 's guitarist, Marco Curiel at the Sweetwater County Fair in Wyoming. Other guitarist/bands who played it include Dave Turner of The Blue Olive Group out of Atlanta, GA, Lenny Brooks with Twinkle & Rock Soul Radio, Tony Tyler with Come Back Alice and Tony Tyler Band, and by Bill Wright with The Bill Wright Band. 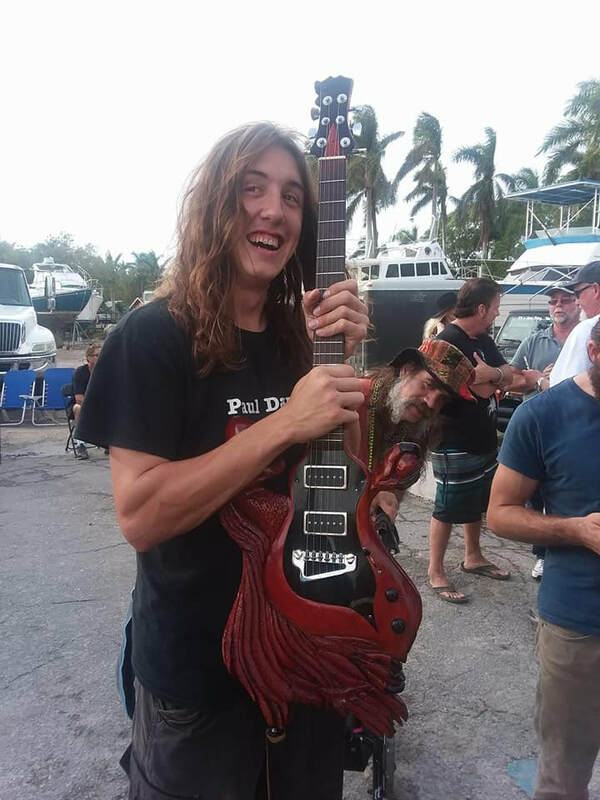 This guitar was lost in the fire that took Dave's home and studio in November 2016. "Let me tell you about this instrument. it was an honor to play this working piece of art. You can see and feel it was crafted with love and purpose. Like a Phoenix this machine breathes fire. Best not to try to hold too tightly - let it take you where you need to go." Lenny Brooks playing The Phoenix with Tony LeClerc on bass, from Twinkle & Rock Soul Radio. "I love playing “The Phoenix“ created by Dave Shelton. What a cool looking and playing guitar! I’ve ordered my “Screaming Eagle” and can’t wait to make it scream!!" Bill Wright with Slithy Tove plays The Phoenix. 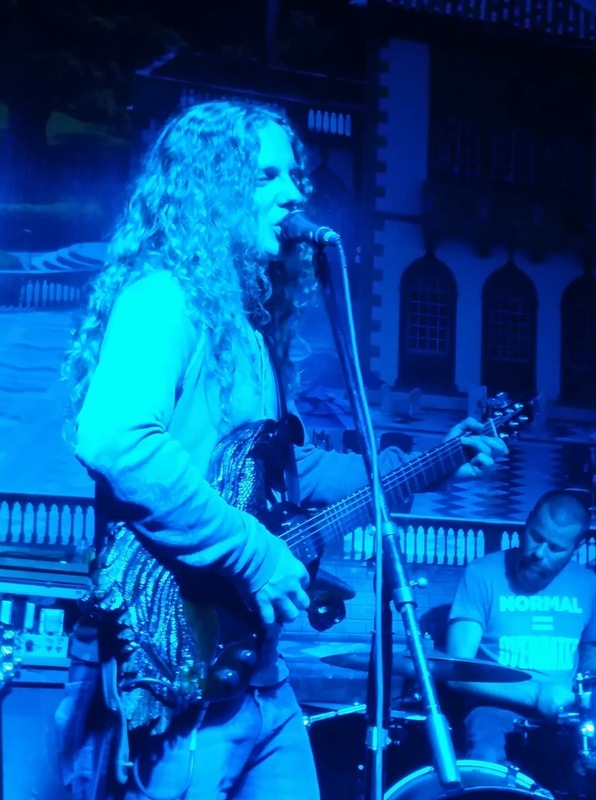 Bill is a singer songwriter and guitarist working on his 6th album of original songs . Bill has opened for national acts including Pure Prairie League, Bob Welch of Fleetwood Mac, Ronnie Montrose, Firefall, Poco, Commander Cody, the Subdudes, Gary Richrath of REO Speedwagon, Ozark Mountain Daredevils, and Black Oak Arkansas. Bill currently plays with Thick As Thieves, as well as Slithy Tove (original jam band), and A Band Of Brothers. Bill formerly played in Colorado's favorite cover band, Thin Ice. Austin Young of Austin Young Band about to get on stage with The Phoenix. Austin Young introducing The Phoenix. "The Phoenix guitar is my favorite! You can really feel the love and energy that Dave puts into creating these instruments, and it definitely comes through in the sound!"